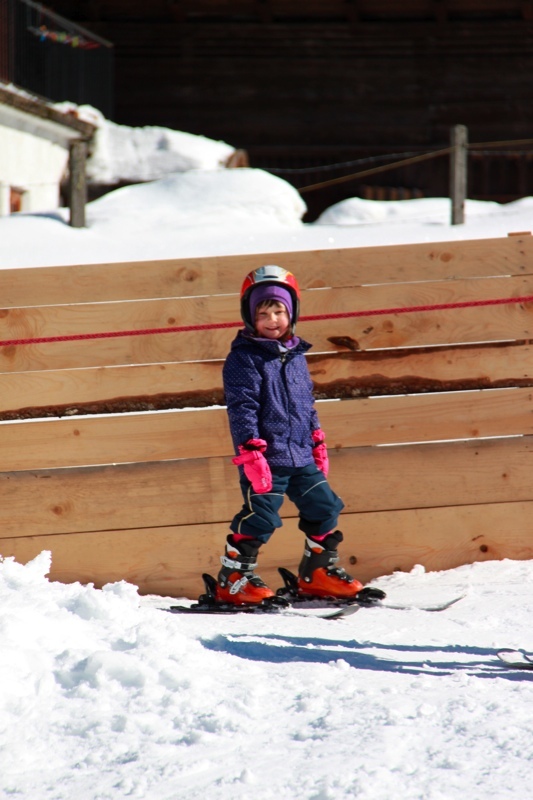 Daphne did a great job skiing and particularly enjoyed a very fast descent followed by a very dramatic finish into a snow pile. 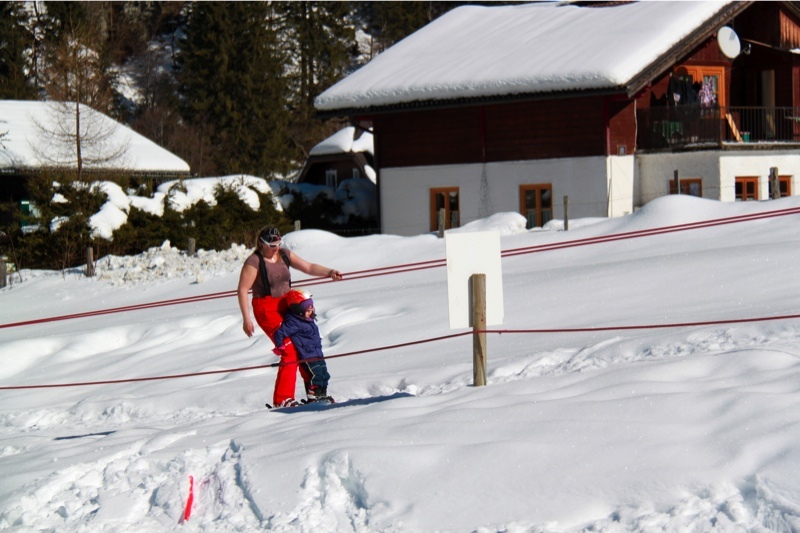 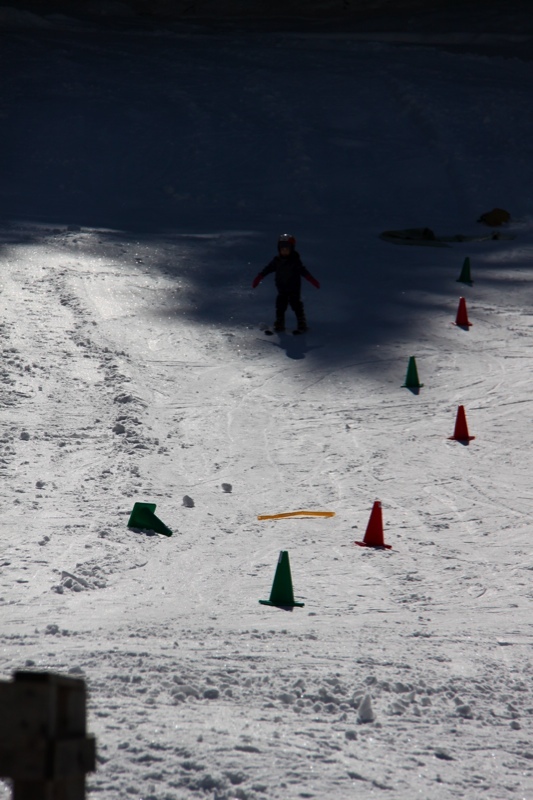 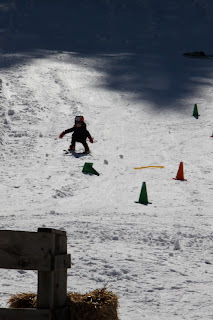 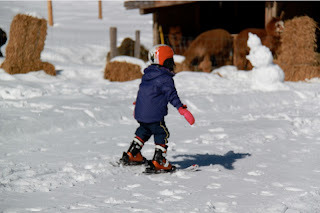 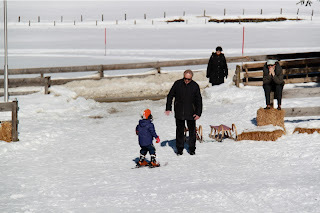 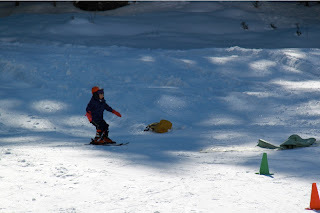 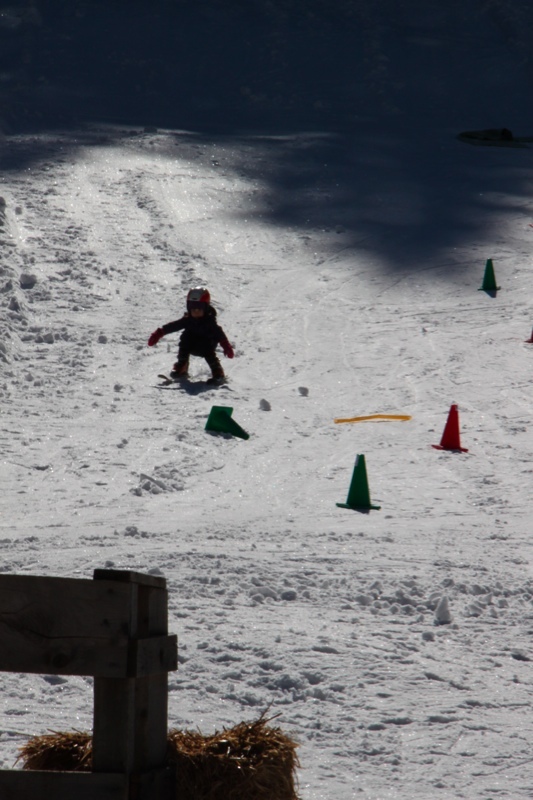 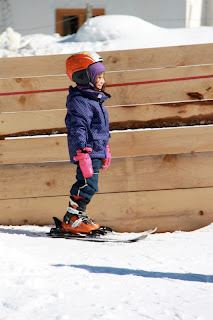 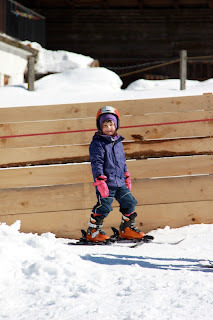 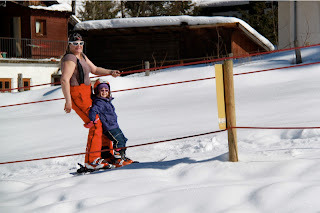 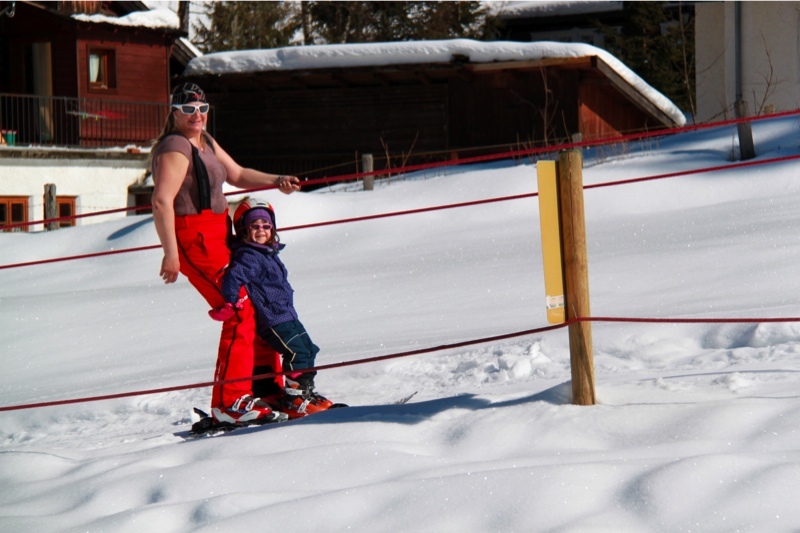 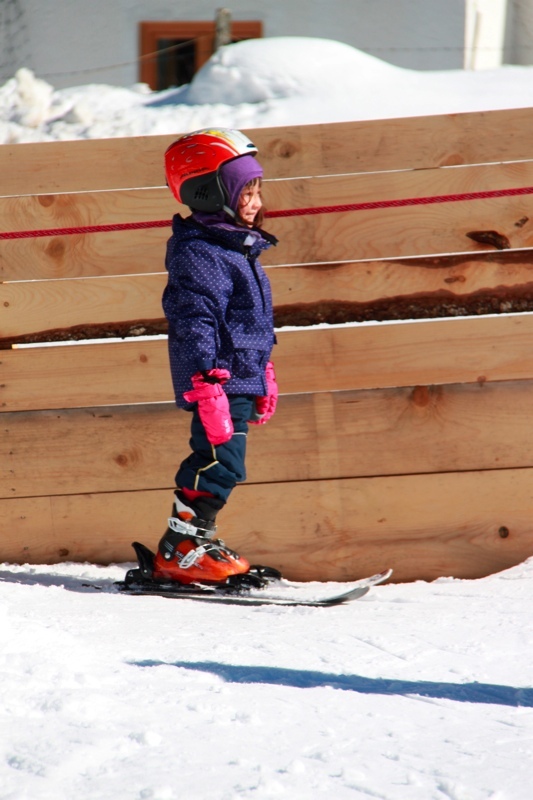 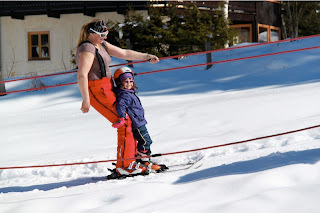 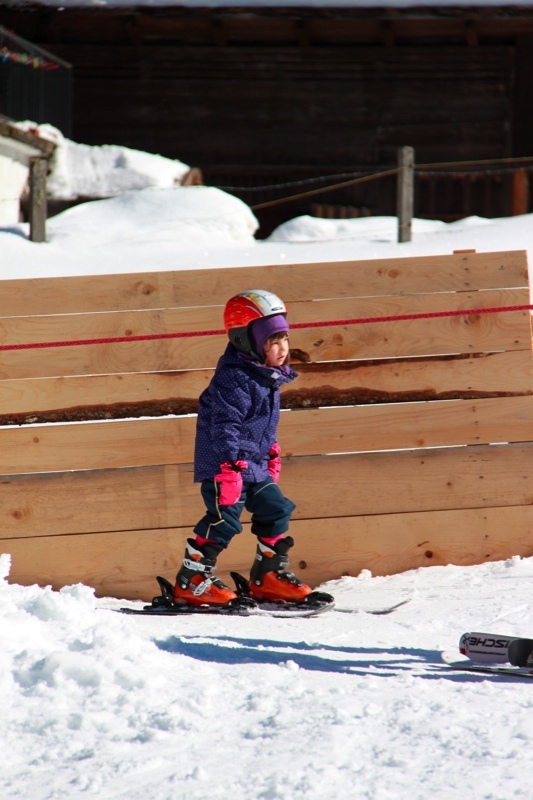 Though sometimes she did manage to ski back to the beginning of the ski lift. 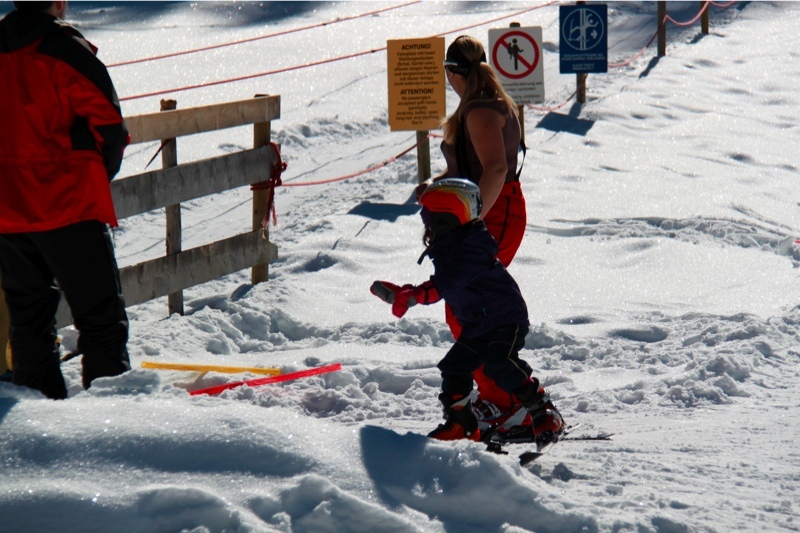 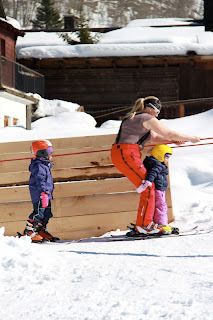 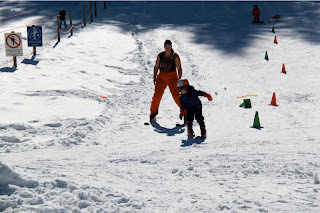 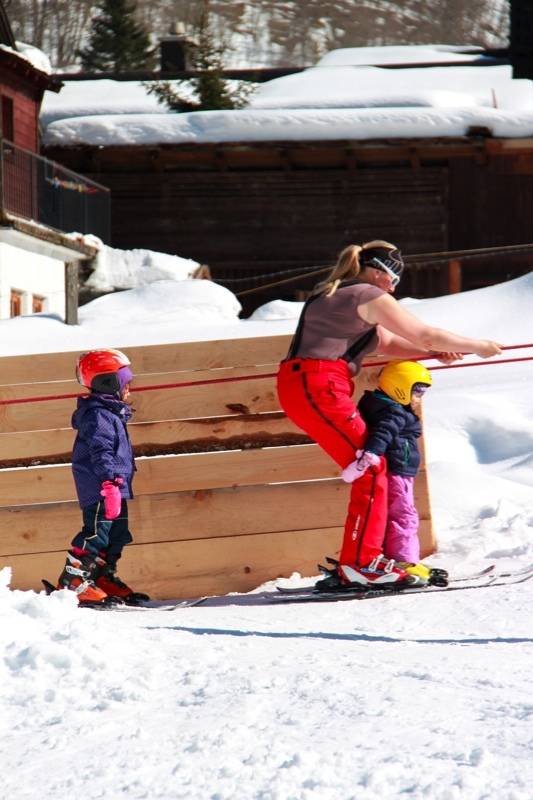 That's Maria, the girls ski instructor...it gets hot lugging kids around the slopes all morning!